For those who installed samba and join the server to Windows Domain, this tutorial will show you how to Manage Samba permissions from Windows machine. There are a tutorials how to install Samba Server and join it to Windows Active Directory domain, but on most of them i haven’t seen how to manage Samba permissions from Windows machine. 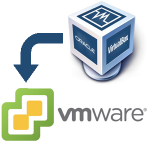 Login on a Windows machine with Domain Admins account and open MMC Console. In the menu bar go to File -> Add/Remove Snap-in and choose Computer Management. Choose Another Computer and enter the name or IP address of your Samba server, you’ve create the new share on. Navigate to System Tools -> Shared Folders -> Shares and select the new added share. Right-click to the share name, choose Properties. 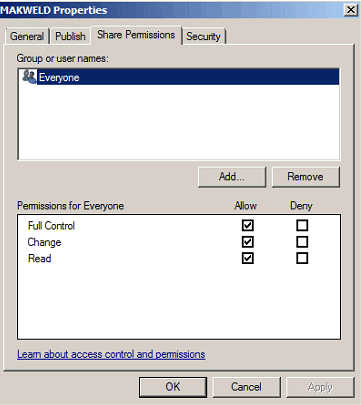 To configure who can access the share and the appropriate permissions go to the Share Permissions tab. 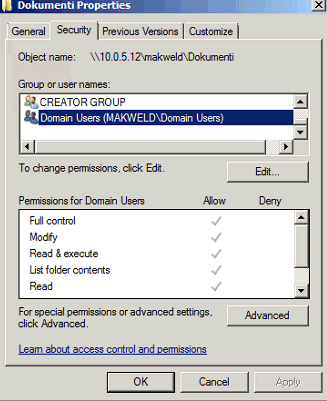 Go to the Security tab, click the Edit button and configure the file system permissions. 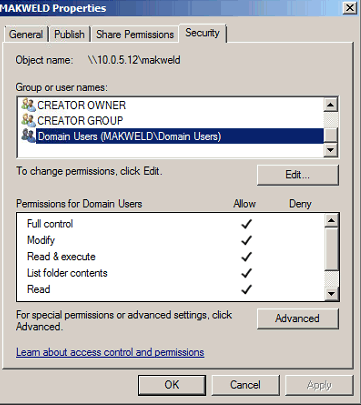 You can change folder security permissions from any computer where you are logged in with account which is member of Domain Administrators. Right-click to the folder and choose Properties. Go to the Security tab and click the Edit button.